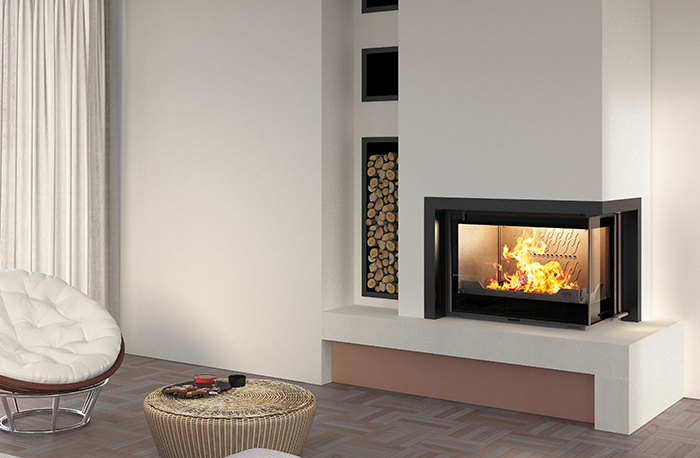 Contemporary meets classic with the Seguin Europa 7 VL Lift Black Line Glass cast iron cheminee fireplace with swing or lift door mechanism and corner glass sided viewing area. 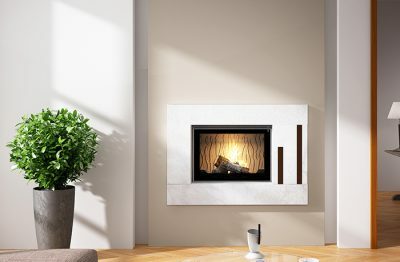 This beautifully crafted, two sided, pure cast iron wood fire is sure to add breath taking ambiance in any stylish home whether installed as a built-in or freestanding fireplace. 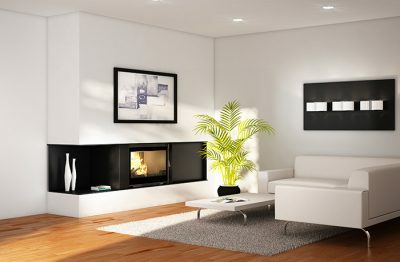 Hand made in France, the undeniable quality of the Seguin Europa 7 VL Lift Black Line Glass cast iron cheminee fireplace will also aim to please aesthetically and burn effectively. 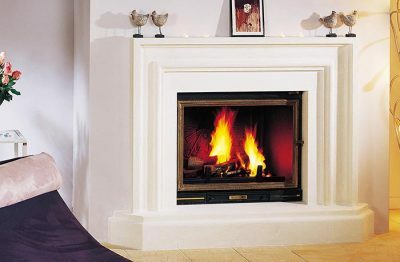 With an average cast iron thickness of 10mm (others are 4-6mm), these cast iron cheminee fireplaces are well known for their heat retention even after the fire has dissipated allowing for a longer lasting heat well into those colder nights. 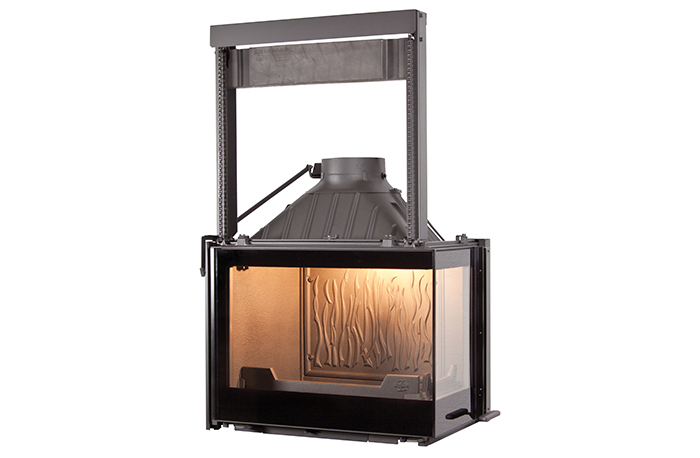 All Seguin cast iron fireboxes come with a damper, air washsystem, fire grate and ash pan as standard. 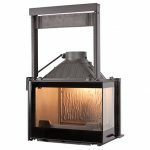 Thanks to the choice of high quality raw material Seguin cast iron cheminee fireboxes are guaranteed for 10 years. Available in Left or Right Side Glass configuration.